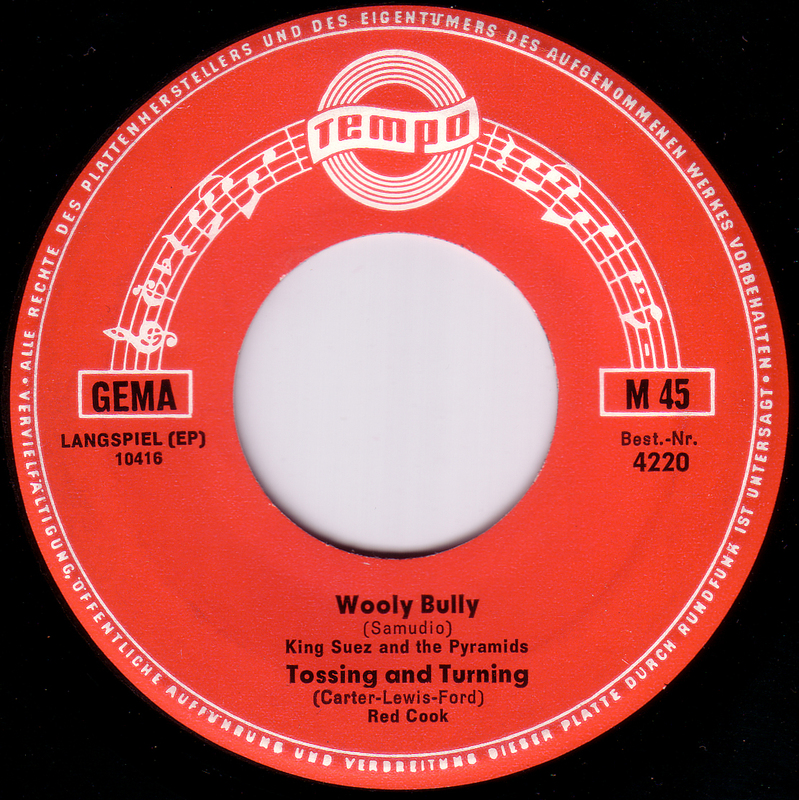 This four song EP has cover versions of “Wooly Bully” originally recorded by Sam the Sham and the Pharaohs, “Tossing and Turning” by the Ivy League,”Help” by the Beatles and “Mr. Tambourine Man” by the Byrds. With names like “King Suez” for Sam the Sham and “The Stars” for the Beatles the producers were not terribly creative but I guess teenagers got the idea. “Tossin’ & Turnin’ ” ist eine “Bobby Lewis” (Malou Rene / Ritchie Adams) Nummer.